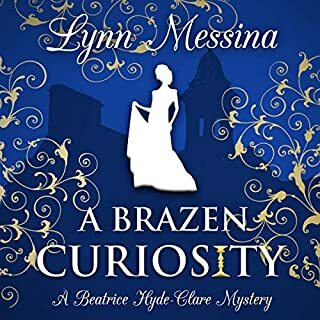 Bored with her aristocratic life and irked that the police have arrested the wrong suspect, Lady R decides to turn lady detective. With her eccentric Aunt Butty in tow, Lady R scours London for clues. If she’s lucky, she’ll find the killer before the killer finds her. 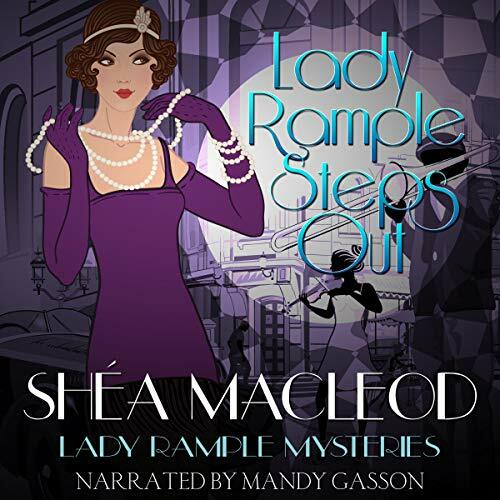 From the author of the Viola Roberts Cozy Mysteries comes the first audiobook in the Lady Rample Mysteries set in jazz-era London. There is definitely quite a flood within this niche. 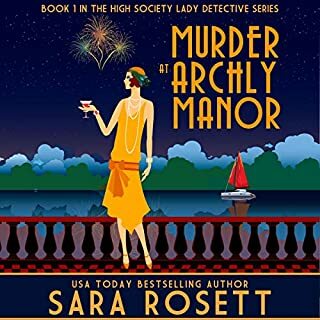 A 1920's period piece cozy with a wealthy widow who breaks with typical social conventions and mentions loving Agatha Christie. This is no exception and is really an okay story. I would even be willing to consider reading the second volume because let's face it flappers in jazz clubs are fun backgrounds to create a story in. 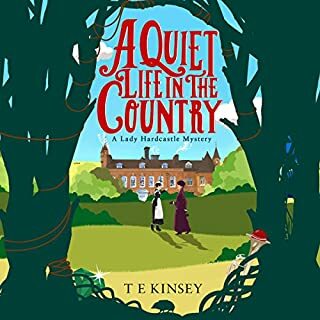 However the narration really wasn't to my taste, Mandy's voice seemed dissonant with the image of Lady Rample's character and at times the volume was inconsistent chapter to chapter. 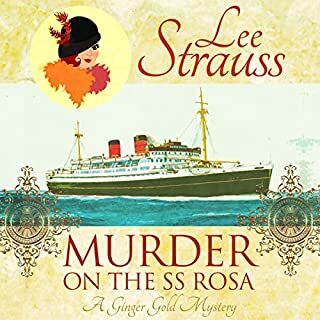 Since there are many such series that operate within this exact genre it is hard as I immediately find myself comparing to other narrators who I think do a much better job with this type of character. To be clear Mandy does not have a bad voice at all, in this case it just does not feel like a match. The story was just okay and coming in just under 5 hours of listening I didn't feel exactly bored but also didn't really feel captivated or pulled in. There are definitely some elements I enjoyed. Lady Rample and her friend Chaz and their relationship as well as the awareness of how opium effects lives in the Jazz-era London scene. I also giggled at Lady Rample's Aunt Bunty who is always wanting to start tangenting about lewd situations. I also was surprised that more than anything I enjoyed the moments where the author talked about the late Lord Rample and their relationship. It was the most real and well written sections of the book actually. The rest including the attempts of love triangles was rather lackluster. 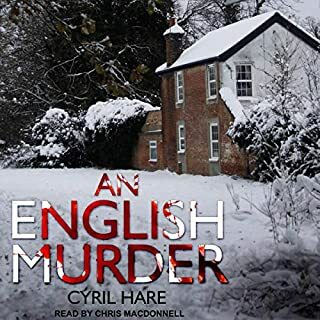 Overall I won't return to this series in audible form and if I do decide to try another volume it will be on my kindle where I can read it myself. 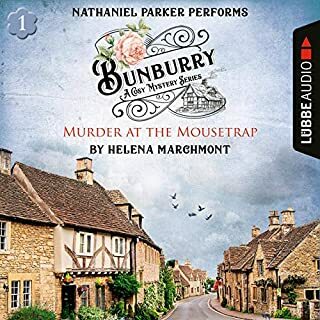 In terms of audible I feel like there are other stories close to this era that I enjoy more. The performance is better than the story. Honestly I gave up after a few chapters of what can only be called boring descriptions of over the top clothing, and environment of an insipid personality. The story line appeared to be going no where so I just gave it up. Really Audible, take it off the list, it is a wast of space.